Presenting Dr. Tim Brown, consultant transplant surgeon at Belfast City Hospital, Northern Ireland, who used 3D printing software to aid a complex, life-changing operation. Brown is set to participate at this year’s South by Southwest (SXSW) conference to share his story of how he used 3D printing software to support a complex and life-changing transplant on a young mother. Participants of the event will hear the story of a patient; who urgently needed a life-saving kidney donation, the patient’s father, who was willing to donate but had a tumour on his kidney, and the AI technology that made it possible to conduct the transplant safely. Discussing how the 3D printed model aided the surgery, Dr. Brown explains: “As the cyst was buried deep within the renal cortex and therefore invisible on the back bench, a replica 3D model was used for preoperative planning and intra-operative localisation of the lesion. Dr. Brown will be joined on 12 March 2019 with Daniel Crawford, CEO of axial3D (The firm that created the 3D printing software), Cathy Coomber, Operations Manager at axial3D, and Nigel McAlpine, Immersive Technology Lead at Digital Catapult who will collectively share their experience on how the operation was made possible. The panel discussion is also set to explore the future of 3D printing, automation and machine learning in medicine. axial3D is investing heavily to include Artificial Intelligence within modules in the firm’s latest solution, axial3D assure. 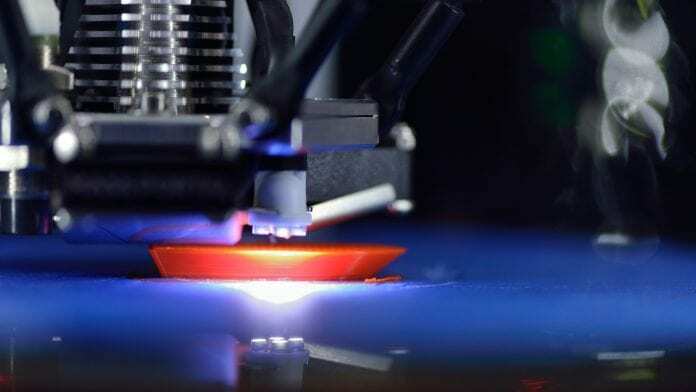 Doing this, the firm aims to eliminate labour intensive and complex tasks involved in creating 3D printed models from 2D scans. convergence of the interactive, film, and music industries. The event, an essential destination for global professionals, features sessions, showcases, screenings, exhibitions, and a variety of networking opportunities. being applied to health, medicine, and well-being, ultimately improving health in the communities where we live, work and play. Technological advances in medicine such as Big Data, Artificial Intelligence, wearable devices for healthier living, and the impact of blockchain in healthcare are set to be central themes of the Health and Medtech sessions. axial3D is a pioneering UK based medical 3D printing company specialising in the use of patient-specific medical models to advance both standards and efficiency of surgical intervention. Creating precise 3D models generated from patient data, this technology enhances pre-operative planning by personalising healthcare.